Driven by advanced manufacturing setup and dexterous professionals, we are counted among the topmost manufacturer, distributor, and retailer of Tube Fixing for Ball Transfer Units. 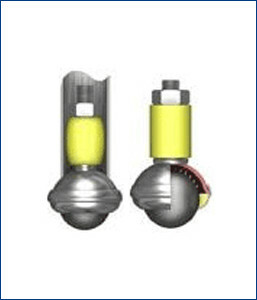 The provided tube is designed for temporary or permanent connection of the rubber bushes. Manufactured under the strict leadership of our professionals using optimum quality metal and advanced techniques. This fixing is also tested on defined qualitative parameters to assure flawless design. Further, we can deliver fixing tube according to the clients’ requirements.